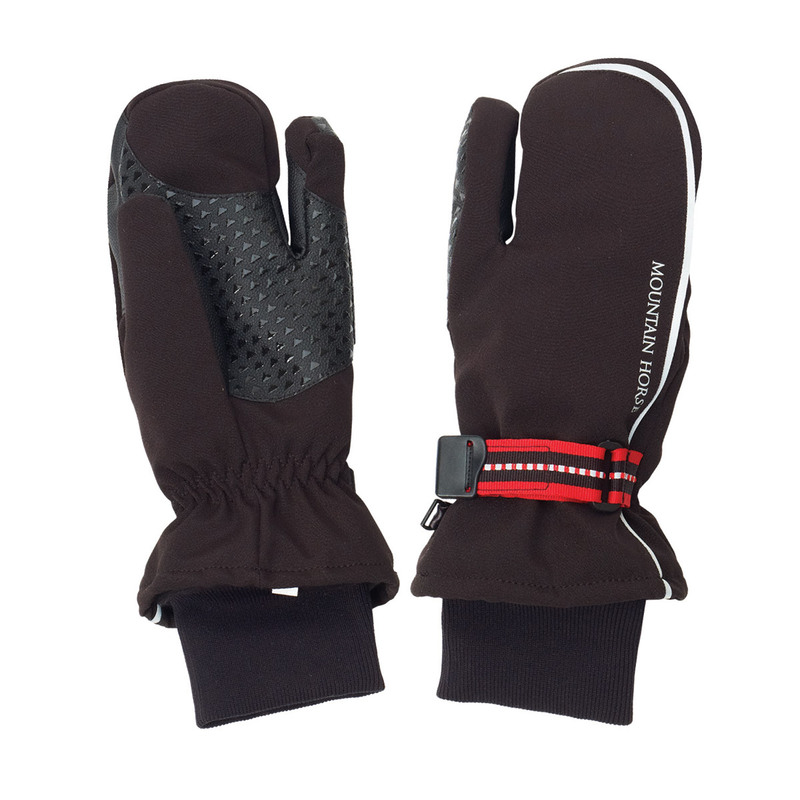 High performance 3-finger waterproof riding mitten is breathable and features 3M Thinsulate® insulation. With stretch nylon and spandex for a good feel on the reins, and warm knit cuff with adjustable wrist strap. Fabric I: 92% Nylon, 8% Spandex. Fabric II and Lining: 100% Polyester.